WordCamp Bordeaux 2019 took place just last week in the beautiful city of Bordeaux and Weglot was a happy sponsor of the event! We had the chance to discuss with Aurélien Denis just before the event to know more about him and the WordPress Bordeaux community. Find more information on the WordCamp Bordeaux 2019 (one of the first eco-responsible WordCamp!) and find Aurélien on Twitter. 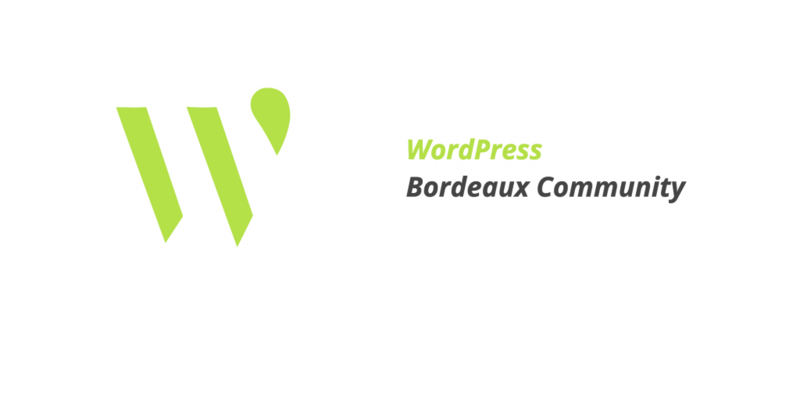 Who is the Bordeaux WordPress community? The WordPress Bordeaux community is like all WordPress communities, a rich and diverse community that brings together people from all over the Web and not only. This is what makes it so rich. Today there are almost 1000 members in the Meetups Bordeaux group (996 to be exact) All members can participate if they wish to and bring their expertise and know-how. We all come from different backgrounds: developers, designers, translators, editors and content writers… with a common interest: WordPress. Personally I have been using WordPress since 2012 but some members of the community have been using it for much longer and others are only discovering it today. Why WordPress? It is simply the CMS that corresponds to my needs and to the neds of 30% of the web that uses it daily… What else? I love the people who participate in this open-source project. The community is amazing. Like many of us, I started with a little contribution here and there and 7 years later I am still here! Tell our readers more about the biggest challenges, the innovations and the new trends of the WordCamp Bordeaux. We are organizing the first eco-responsible WordCamp! We are aware of the energy impact that WordPress has on the Web’s carbon footprint, and that’s why we decided that WordCamp Bordeaux 2019 would work towards a more eco-responsible and local approach. This initiative will result in the publication of a Green Paper compiling our reflections, good practices and difficulties encountered. This document, available for free download, will hopefully serve as a basis for Web professionals to work on, and create a dynamic to help reduce the impact of our Web designs on the environment. What will be the future of the Bordeaux WordPress community? We are currently focused on the WordCamp Bordeaux 2019. But the idea with this event is also to make other people want to participate and get involved in the community, and for that nothing is better than Meetups… so yes we hope to see many Bordeaux Meetups in 2019 and in the following years.